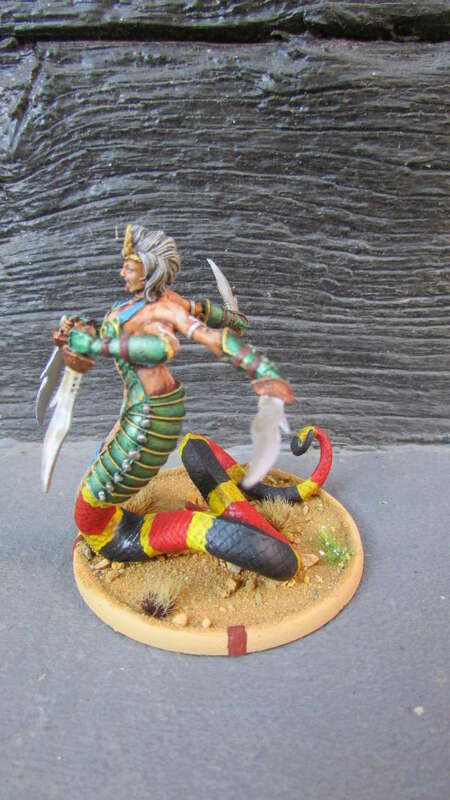 Last edited by H3SO4 on Sun Aug 28, 2016 6:36 pm, edited 1 time in total. 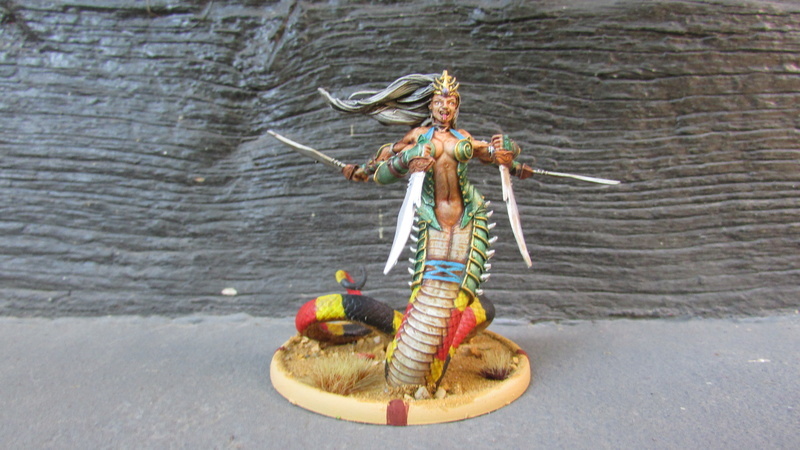 Steena looks incredible with her colorfull scales, quite different to the Khthones Snakes I´ve seen so far but different in a great way - she looks very dangerous and natural - well done! 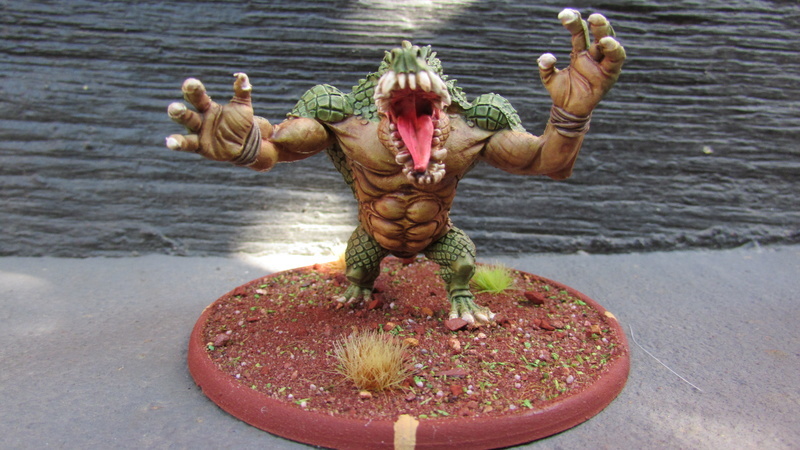 I always love to see Kadamastar - and the way you´ve painted him does this impressive monster justice, great paintjob! 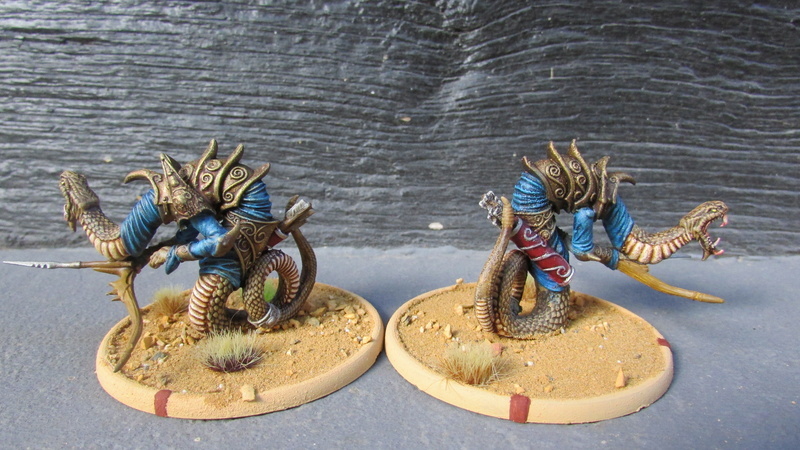 I especially like how you´ve blended his scales with his belly, a very smooth transition. 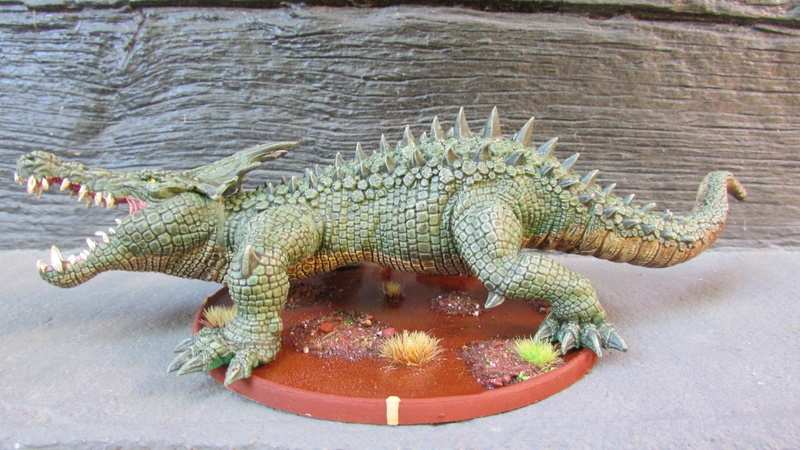 The scales themselves are awesome too - and his eyes and tounge make him look very alive. 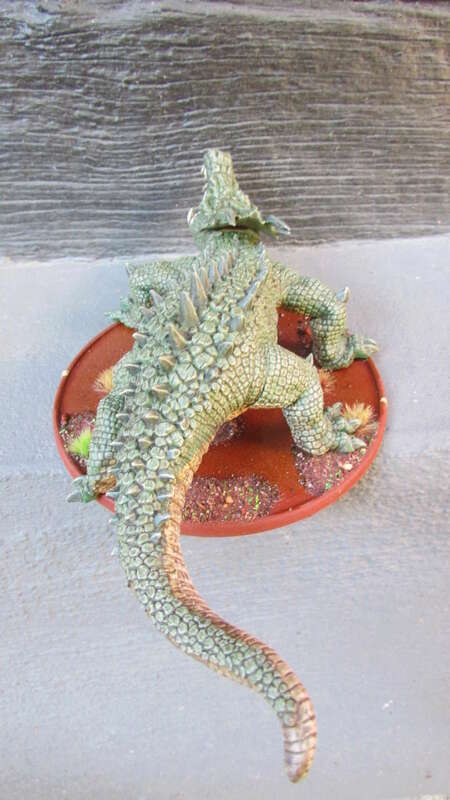 If there is one negative point that I would mention it would be the small gap on his hindleg, but I think it isn´t that noticable on the real miniature, only on the picture. 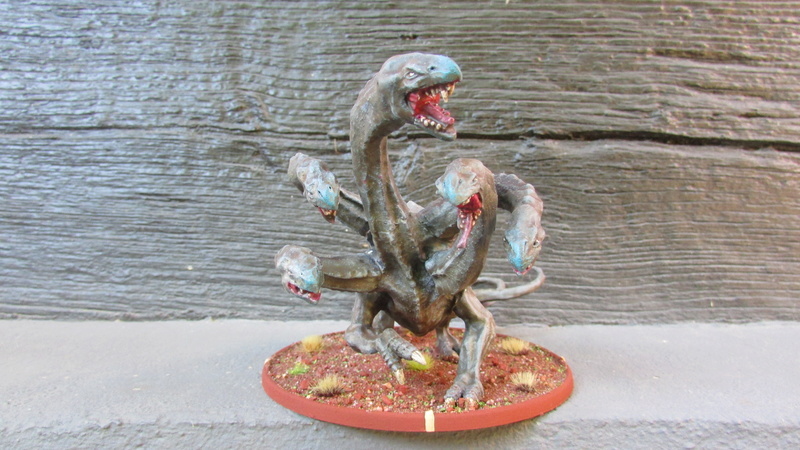 Tygandr looks stunning, I have to say I wasn´t aware of him, since I admit that I don´t pay that much attention to the Bane Beasts and Bane Lords range, but I should ;D - he looks awesome and very much at home in a Khthones Host - great Paintjob! 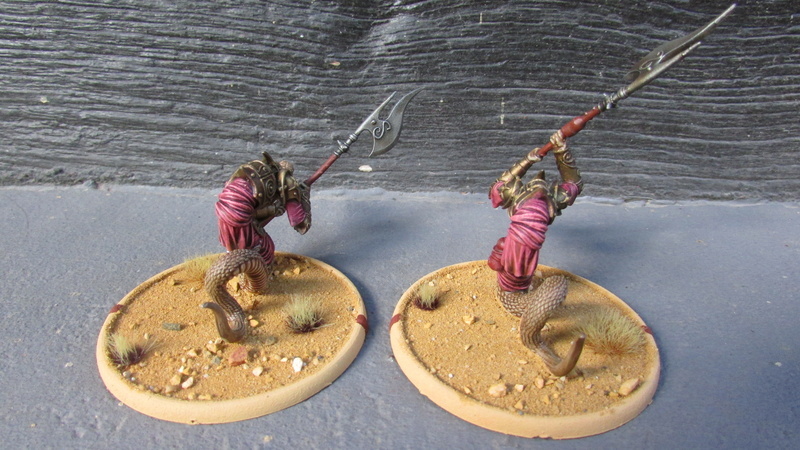 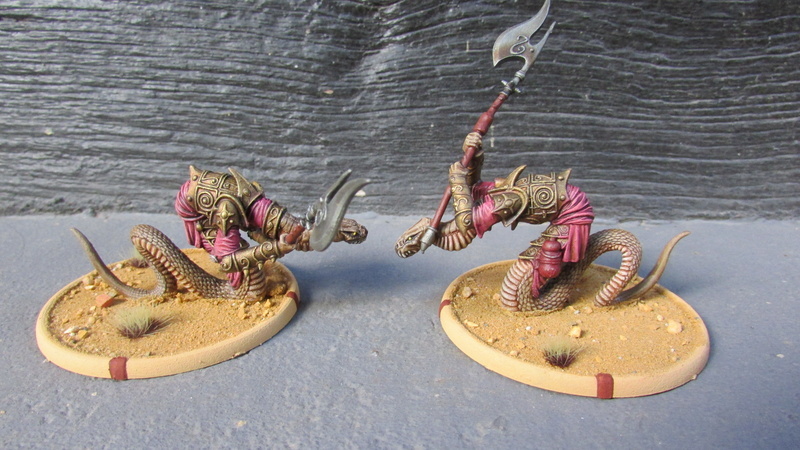 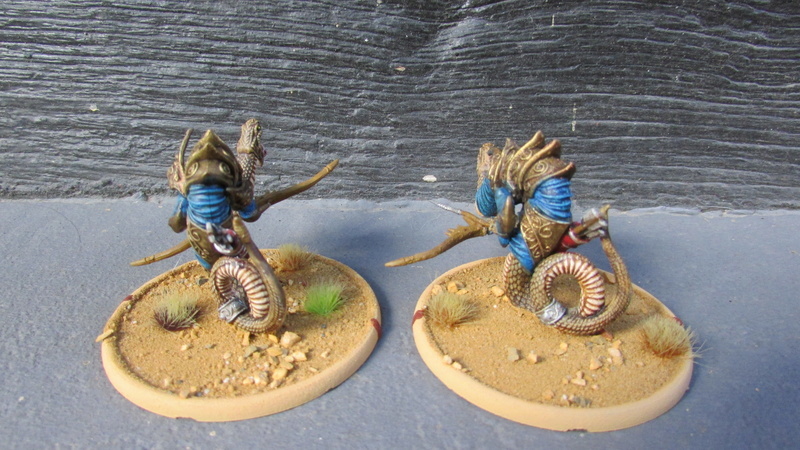 The Ophidians look great too, I always liked most of the Confrontation Miniatures and the Ophidians were amongst those that I liked most - and you show what magic a skilled painter can work on them, very nice! 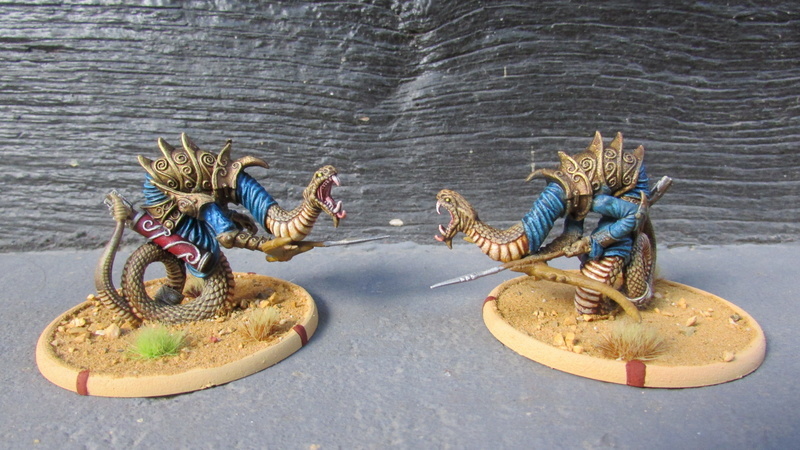 And your comparison picture with Steena shows that they are going to go well with the rest of the Khthones (but you should still increase your collection ;D - I want to see more snakes painted by you!). 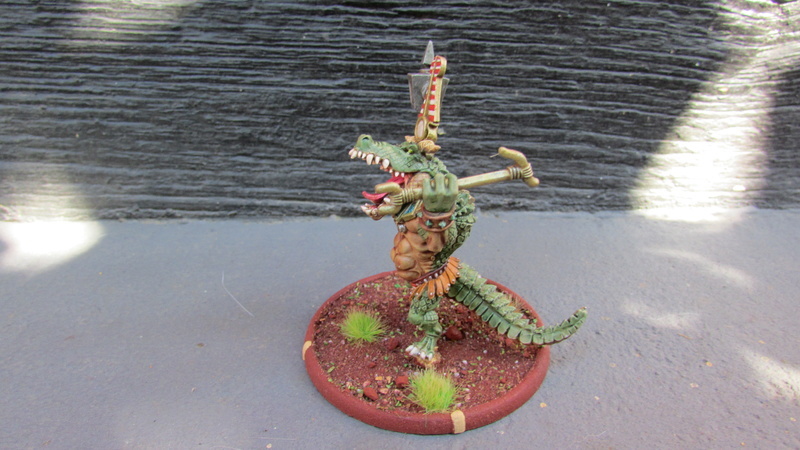 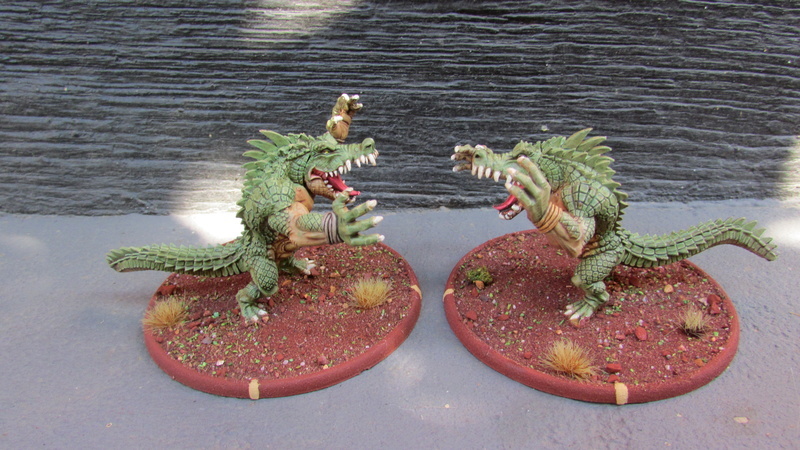 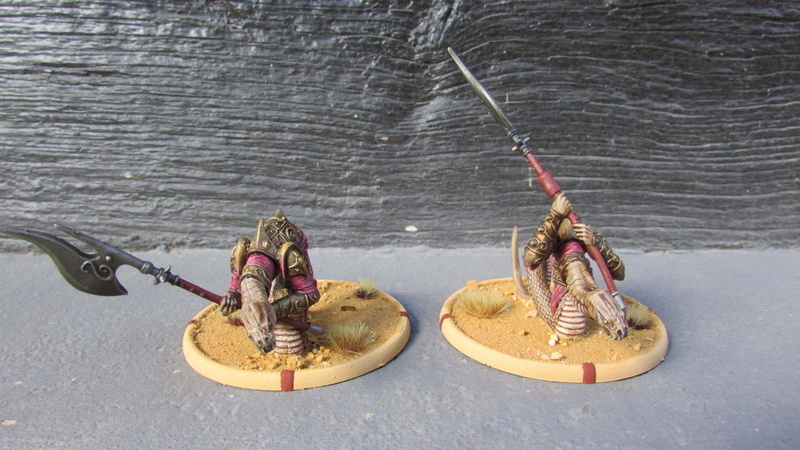 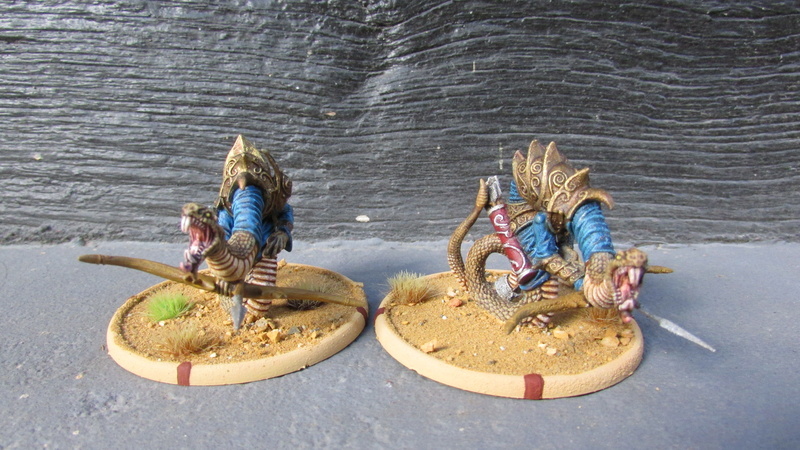 I am a bit unsure about your Krokodar, please don´t get me wrong, you´ve did an incredible Paintjob and your great bases tie them together with your other Khthones but somehow I think the style of them doesn´t match up quite as well as the Ophidians do. 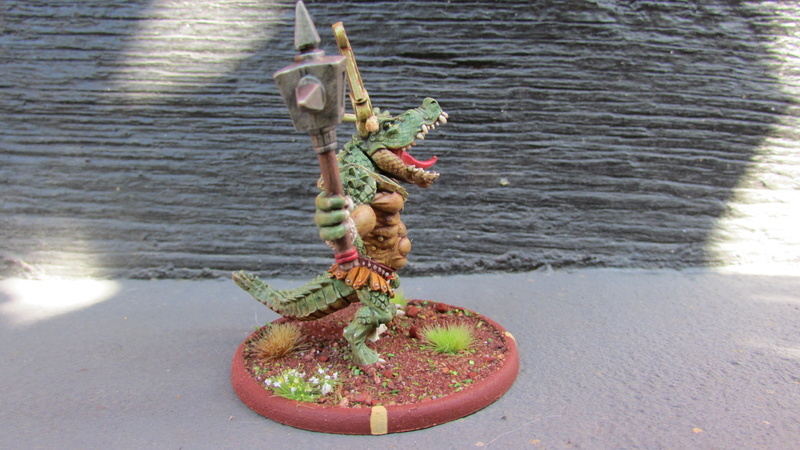 Nonetheless great Paintjob (and again - get some original Krokodar, having seen your Kadamastar I would like to see what you would do with his nice little friends. 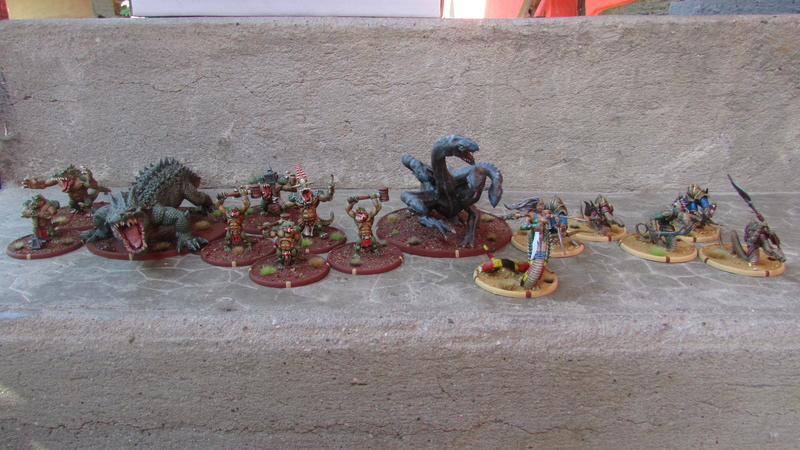 Great Miniatures, incredible Paintjob and a very nice host - thank you very much for sharing those pictures! 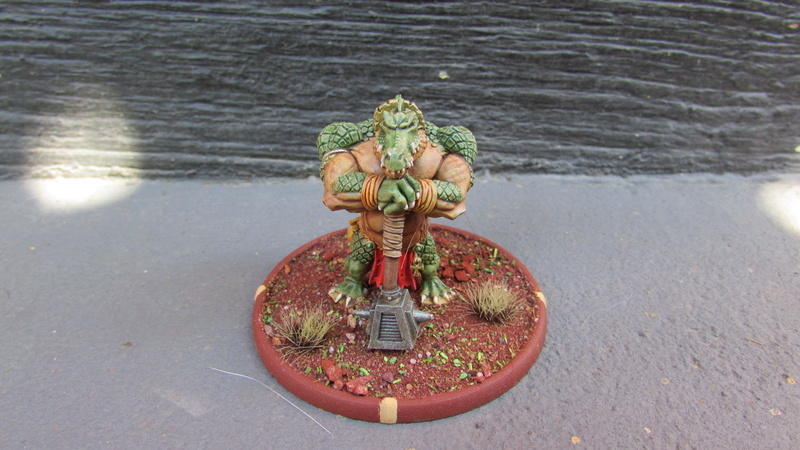 You can´t spell cOuNt crUshMOre without ONUMO! 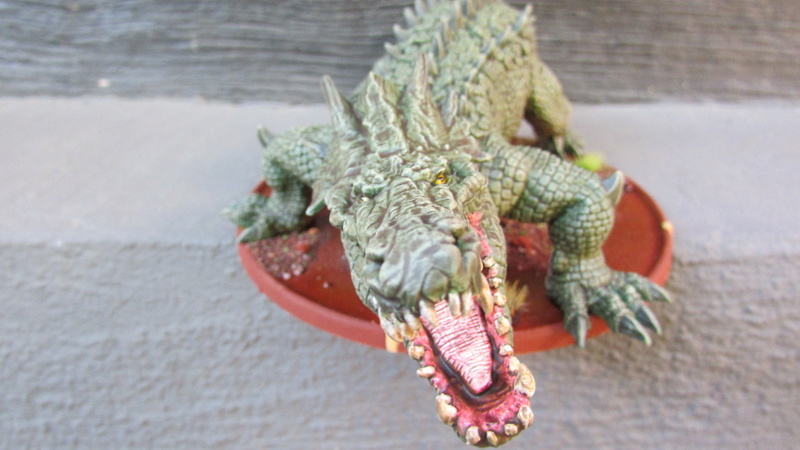 I really took some pleasure has to paint Kadamastar because I have was impressed by the figurine and as I like these animals I tried to apply to paint him . 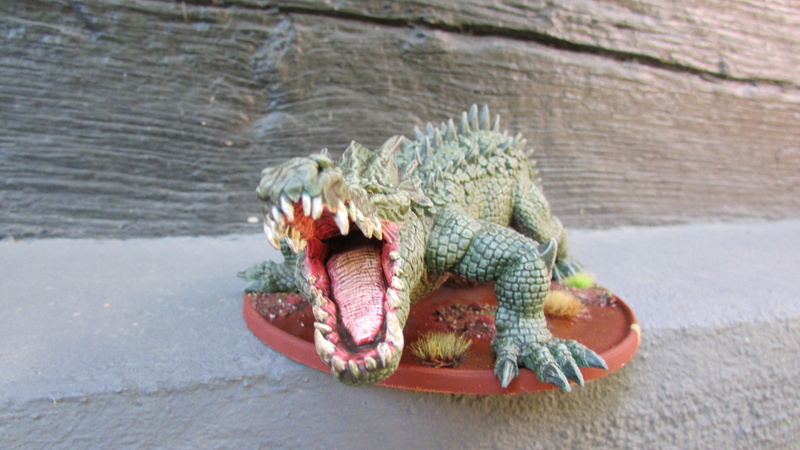 To make well I followed the example on him "crocodylus porosus the" biggest marine crocodile later it has needed to find the color good ones what was not easy safe for the belly which is always very clear. 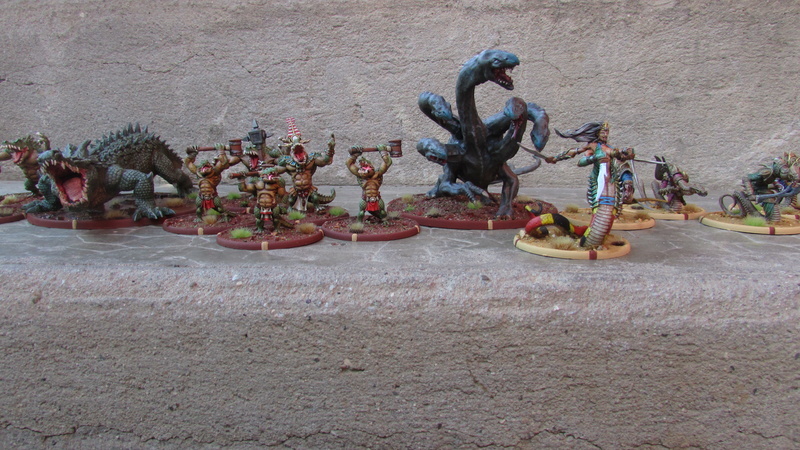 you have a nice collection of great figures. 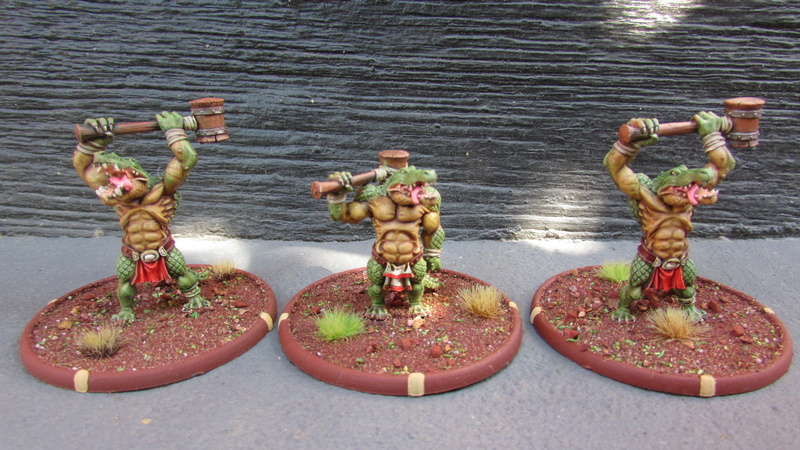 Great job on the painting schemes! 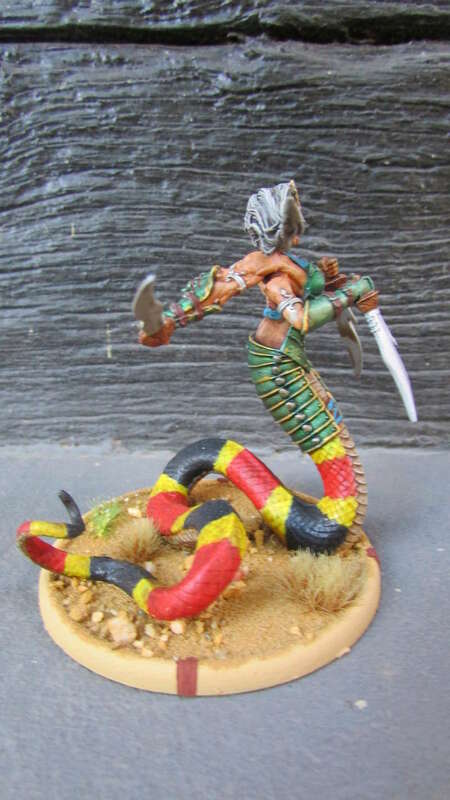 Sthena is my favorite, her fleshtones and the snake colours on her look stunning. 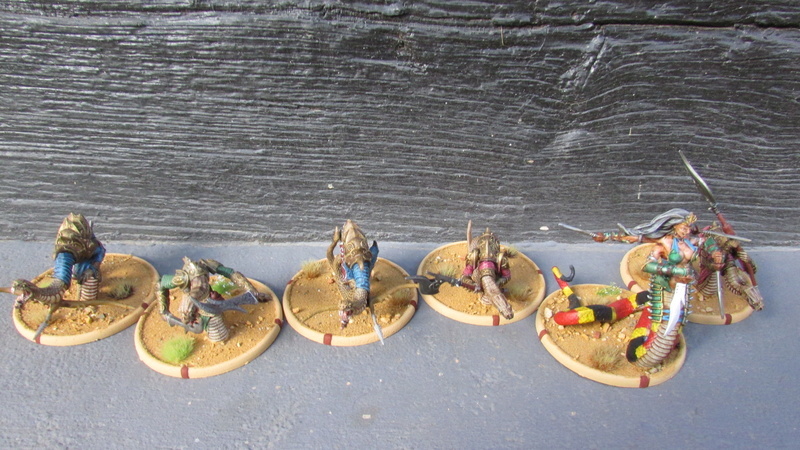 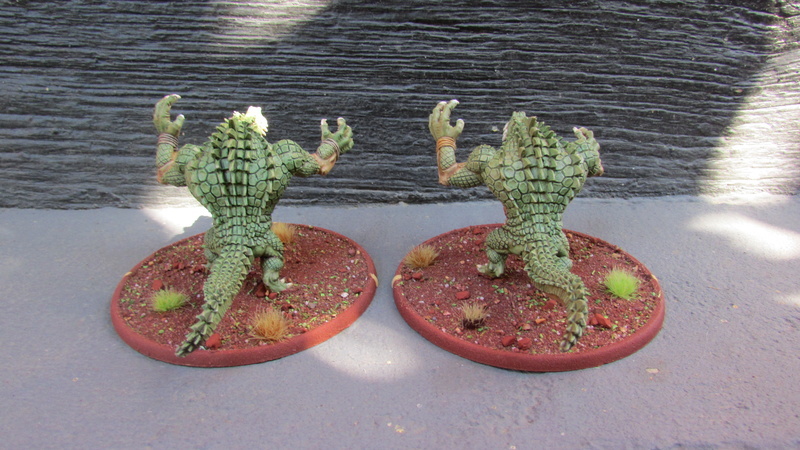 I too own a lot of the Crocodile games Sobek miniatures and I absolutely love them. 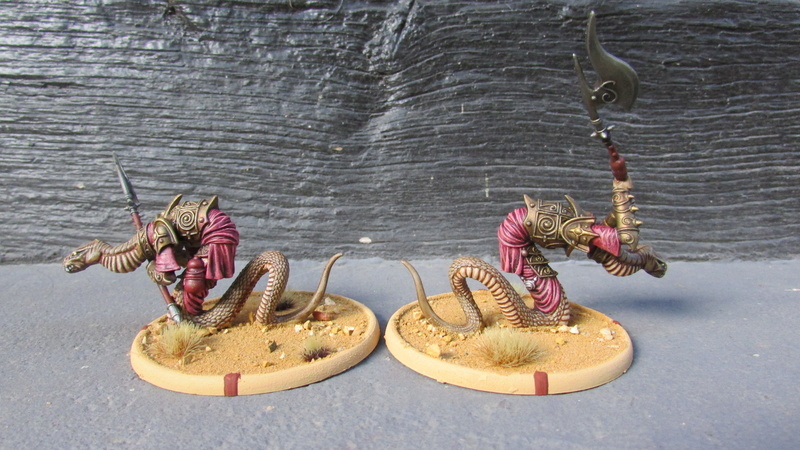 I mainly use them as Minions for Warmahordes. 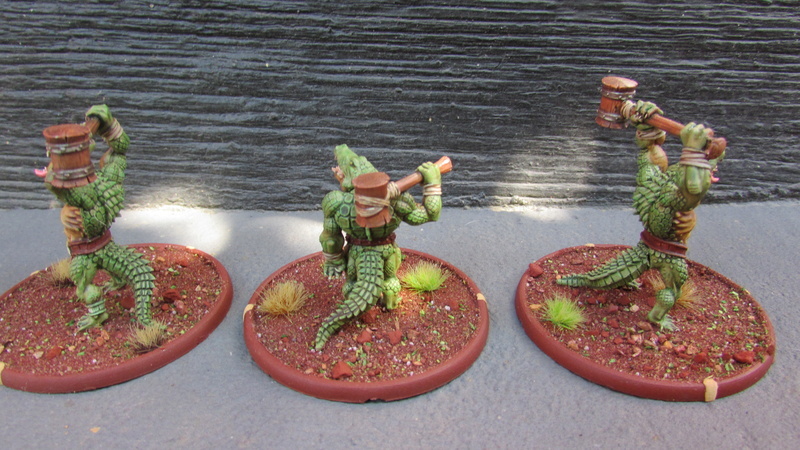 I find them a bit too small and fragile (and frankly a bit too cartony) to represent real Krokodars. 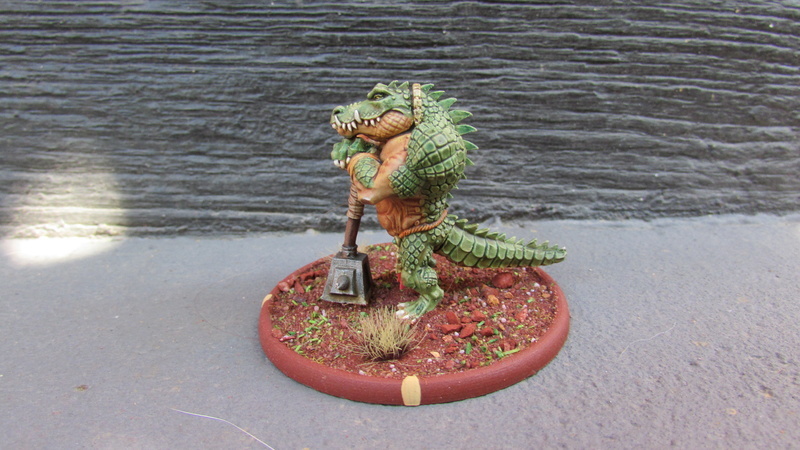 The beloved of Sobek is just big enough to represent a krokodar. 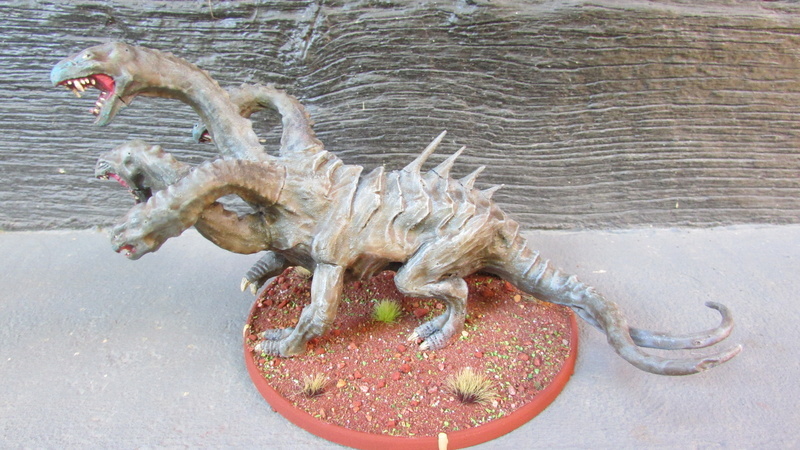 And Angrakk really towers over him. 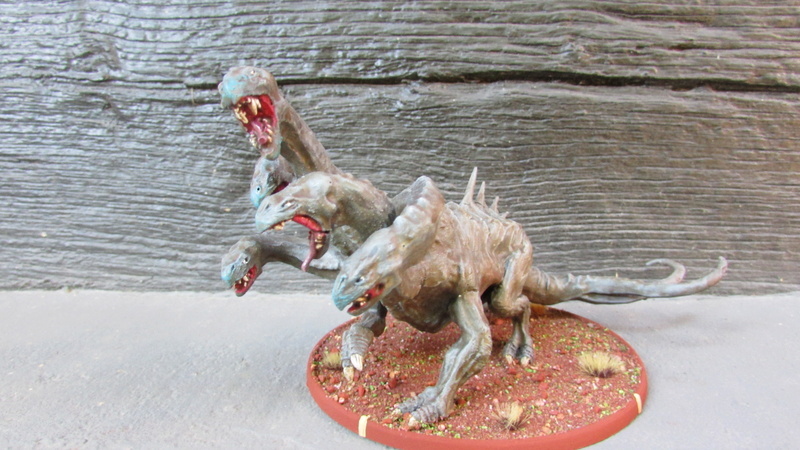 Darklands has this unique dark and grim atmosphere. 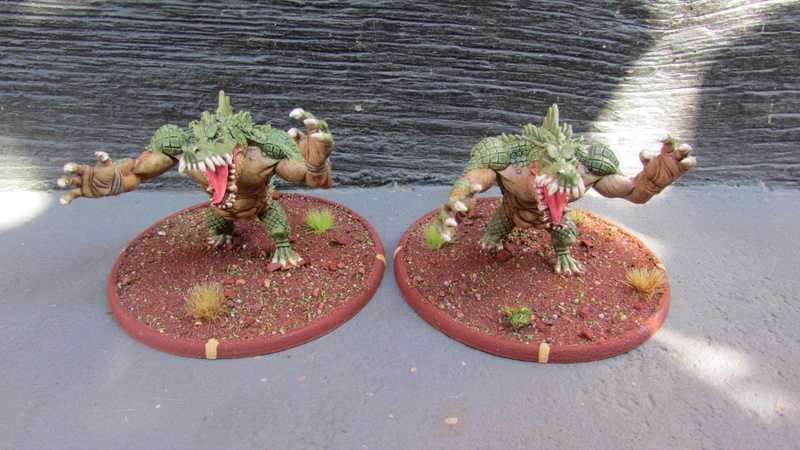 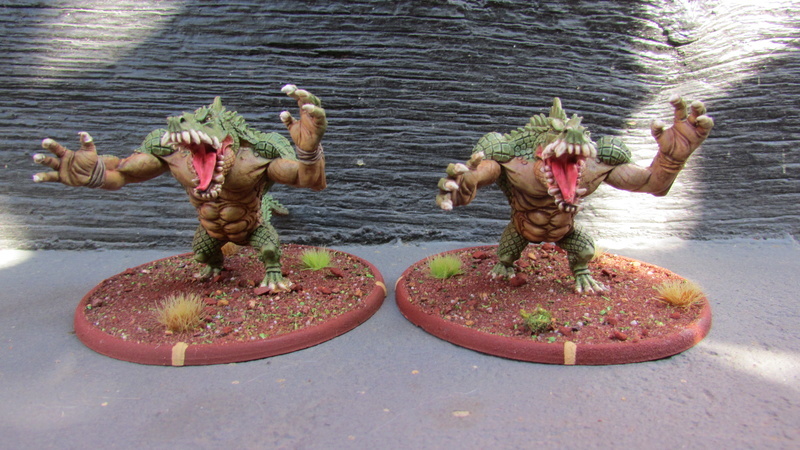 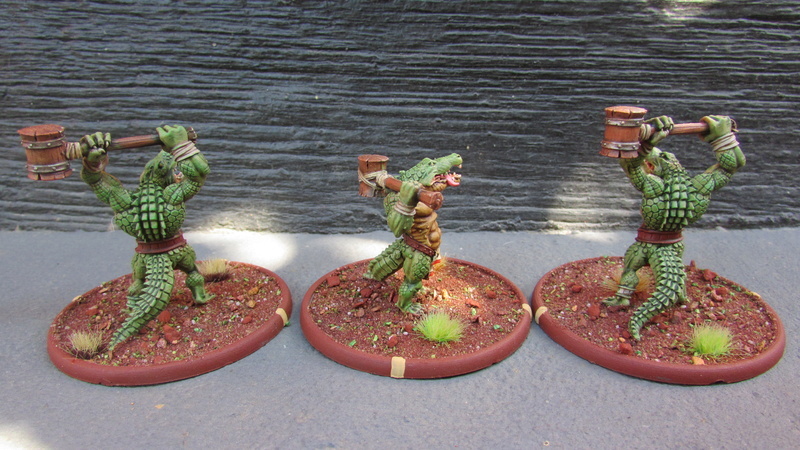 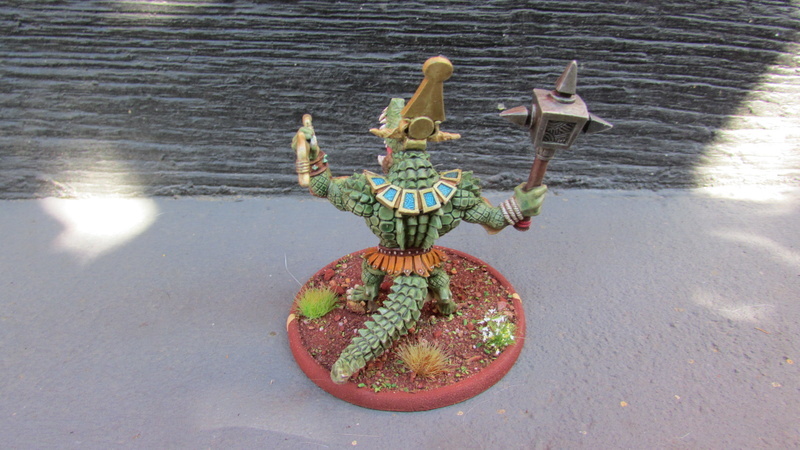 The Sobek miniatures are more 'cartoony' in style to me. 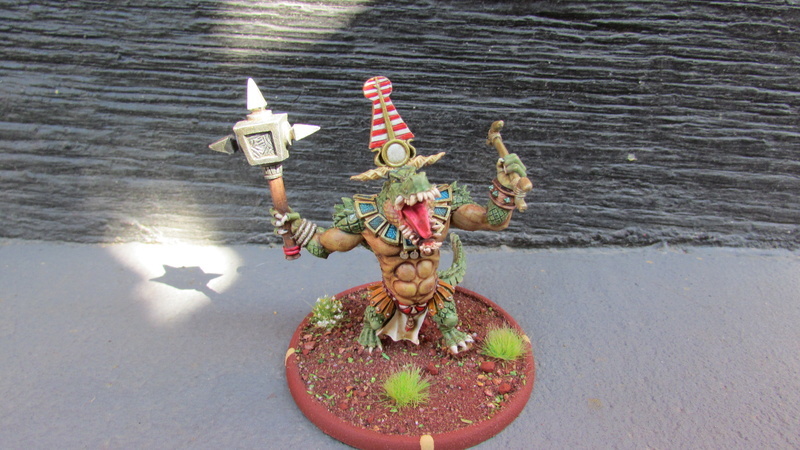 Nonetheless, great painting and keep it up!